Personal Injury is the branch of law that is designed to protect people who have suffered an injury as a result of the carelessness or intentional act of another. It allows an injured person to make a legal claim to seek monetary compensation for his or her injuries against the person or company who is responsible. Many types of claims are encompassed within the law of personal injury. Suffering through an injury or accident can be difficult under any circumstances, however, this is particularly true when a person is faced with an injury or illness as the result of another person or party’s reckless actions. In these situations, many personal injury victims find themselves battling not only the physical and financial repercussions of their injury or illness, but also a sense of injustice due to suffering harm that could have been prevented if only another party had acted more responsibly. How can an experienced personal injury lawyer help? Your injury resulted from the act of another party or parties. You can prove this act was negligent. You can estimate its future financial effect. At Segan, Nemerov & Singer P.C., we know how much difficulty people face after suffering from undue harm in accidents they didn’t cause. While there is nothing that can be done to erase the physical, psychological, and financial consequences of the accident or injury that caused you harm, it is often possible to obtain much-needed financial compensation, justice, and closure through a personal injury claim. 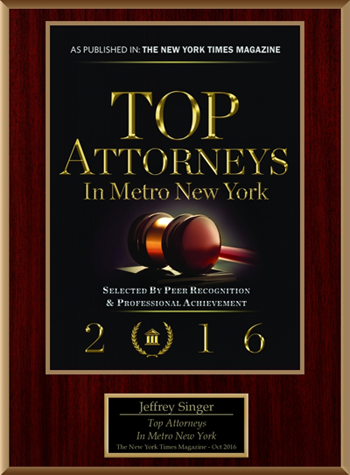 The New York personal injury lawyers of Segan, Nemerov & Singer P.C. know that a serious injury changes your life in an instant. Your injury presents challenges you are unprepared to handle. Unfortunately, you will have medical bills your insurance company refuses to cover. Even worse, your injury may leave you unable to work and destitute. If you or someone you love has been injured, you need a tough, intelligent attorney. We fight to get you the money you and your family deserve. When you or a loved one has been injured in an accident, you need full and fair compensation for all your expenses. Segan, Nemerov & Singer, PC fights on your behalf to help you and your loved ones get through your very difficult situation. 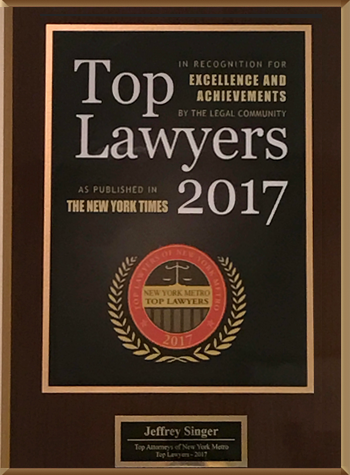 Contact us today online or at (212) 696-9100 to arrange a free consultation.